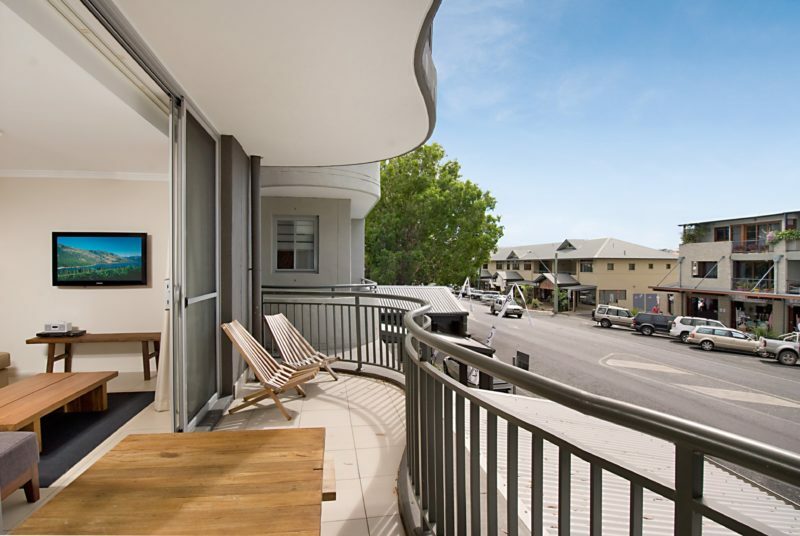 Byron Bay Hotel and Apartments is Byron Bay’s most centrally located and largest accommodation complex. Offering a range of room types from King Bedrooms to fully self contained one, two and three bedroom apartments. 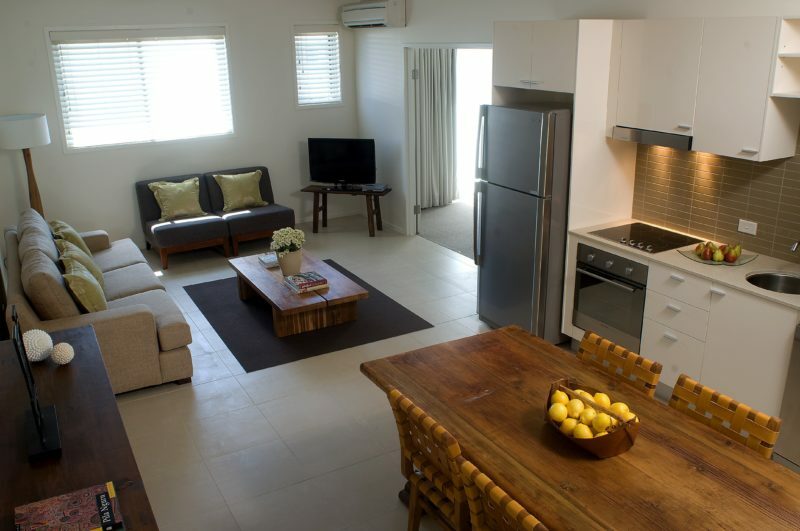 Their apartments are elegantly appointed within a complex surrounded by restaurants, cafes and retail outlets. 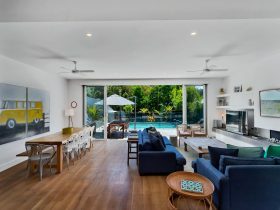 Relax by the pool and enjoy access to free wi-fi or take a three minute walk to Byron’s main beach. 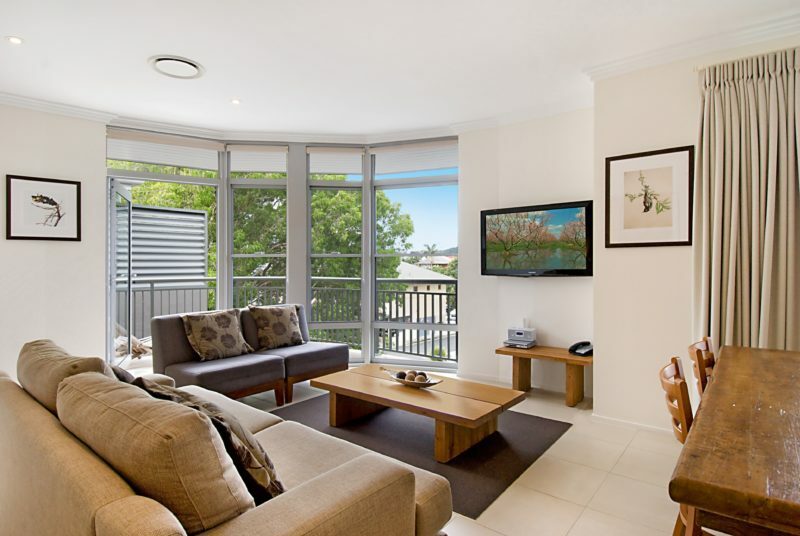 Fully Self contained beautifully appointed apartment with Spa bath, sleeps two people, spacious living and dining area, balcony area overlooking internal pool, King Bed or two King singles, large kitchen, flat screen T.V., ipod docking station, laundry facilities. Fully Self contained beautifully appointed apartment, sleeps six people, spacious living and dining area, Main bedroom with ensuite and flat screen T.V, second full bathroom with shower/bath, balcony overlooking external property, three king beds or six king singles, large kitchen, flat screen T.V, iPod docking station, laundry facilities. Fully Self contained beautifully appointed apartment with two bathrooms, sleeps four people, spacious living / dining area, balcony, two king beds or four king singles, large kitchen, flat screen T.V., ipod docking station, laundry facilities. 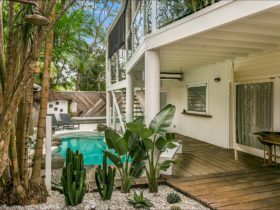 Fully Self contained beautifully appointed studio, sleeps two people, spacious living and dining area, balcony or courtyard, king bed or two king singles, kitchennette, flat screen T.V., ipod docking station, laundry facilities. 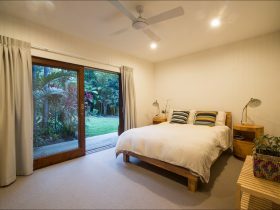 Fully Self contained beautifully appointed studio with one bathroom, sleeps four people, spacious living / dining area, balcony, two king beds or four king singles, kitchennette, flat screen T.V., ipod docking station, laundry facilities. A Hotel style room ideal for short two to three night stays, tea and coffee making facilities, King Bed with Ensuite including bath, Flat Screen Television, Ipod Docking Station. 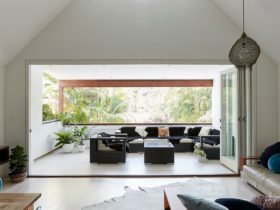 An opening window or sliding front door. Sleeps two people. Hotel style room with outdoor area. Includes Spa bath, tea and coffee making facilities, King Bed with Ensuite, Flat Screen T.V, Ipod Docking Station. Sleeps two people.